Venezuela cannot accept and reject the jurisdiction of the International Court of Justice (ICJ) in settling the border controversy with Guyana, a legal and security expert said Tuesday. “There is an interesting and powerful nuance – because the Geneva Agreement named the ICJ as a means of resolution of the controversy, Venezuela has, for all intents and purposes, recognised and accepted the jurisdiction of the Court for this narrow issue and cannot seek to approbate and reprobate at the same time,” the official said. Article IV of the 1966 Geneva Agreement permits the United Nations Secretary General to choose either arbitration or judicial settlement if the other means of settlement listed in Article 33 of the United Nations Charter fail to resolve the controversy over the 1899 Arbitral Tribunal Award of the land boundary between Guyana and Venezuela. Guyana has said that it is tired of waiting for the past 50 years to find a resolution through mediation under the aegis of the United Nations Secretary General. 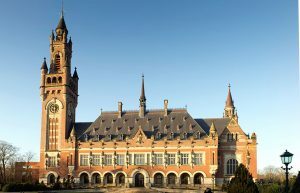 Venezuela on Monday told the ICJ that that court does not have jurisdiction to hear the case, prompting Guyana to publicly state that it would call on that court to rule in its favour that the 1899 award is full, final and perfect. The American-trained hemispheric security expert argued that The Netherlands-based World Court was handed the matter by the United Nations Secretary General, Antonio Guterres in late February, 2018 after last year’s intensified high-level mediation failed to yield a resolution. “It should be noted that the Court is itself already operating as if it has jurisdiction – primarily because of the source or origin of the matter, which is the Secretary General, and not a State Party. The UN itself has “moved” and invoked the jurisdiction of the Court and not Guyana and the ICJ is duty bound to respond,” the official said. According to the legal expert, Venezuela’s rejection of the ICJ marks that country’s move to set the stage to reject the court’s decision. “In this way they will seek to reserve their right not to respect the decision of the court; especially if, as anticipated, the ruling is against them,” the expert said. While Venezuela never acceded to the general jurisdiction of the ICJ and its lawyers have advised not to recognise that UN judicial organ, Guyana has said that that court’s ruling would be binding on both participants and non-participants. The official, who spoke to Demerara Waves on condition of strict anonymity, did not rule out Venezuela maneuvering the controversy away from the Court to the UN Security Council by engineering restive conditions. “No doubt they will provoke a situation that will cause a distraction and try to move this matter from the ICJ to perhaps the Security Council so it’s no longer a legal issue to be determined but a matter of regional peace and security,” the source said. Venezuela has for decades obstructed Guyana from exploring and exploiting gold and hydrocarbons onshore and offshore the Essequibo Region which makes up two-thirds of this country’s 83,000 square miles. Guyana now hopes that an ICJ ruling will be persuasive and convincing enough to international investors who are increasingly lining up to do business here especially since the discovery of oil in commercial quantities in 2015. Proven reserves so far total 3.2 billion barrels. ExxonMobil intends to begin commercial oil production in March 2020.